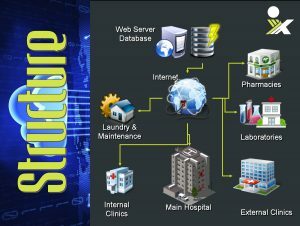 HealthFusionix® is an integrated HIMS (Hospital Information Management System) that caters for small, medium and large hospitals. It is modular and scalable and be customized to fit the needs of any health institution. HealthFusionix® is web-based and accessible from any Internet connection and a web browser. The system also runs on Tablets PCs, Smart phones and mobile devices. HealthFusionix® caters to all segments of the healthcare industry ranging from Hospitals, Pathology labs, Diagnostic Radiology Centers, Outpatient Clinics, Nursing and Wards, Pharmacies and Blood banks.